Click Settings from the navigation menu. Allowed device IP addresses: Limit access to this dashboard's share link to specific IP addresses. IP ranges are supported. Convert to column dashboard layout: If you no longer need to display your dashboard solely on a TV, you can choose to convert it to a column dashboard layout. Getting to grips with Geckoboard? 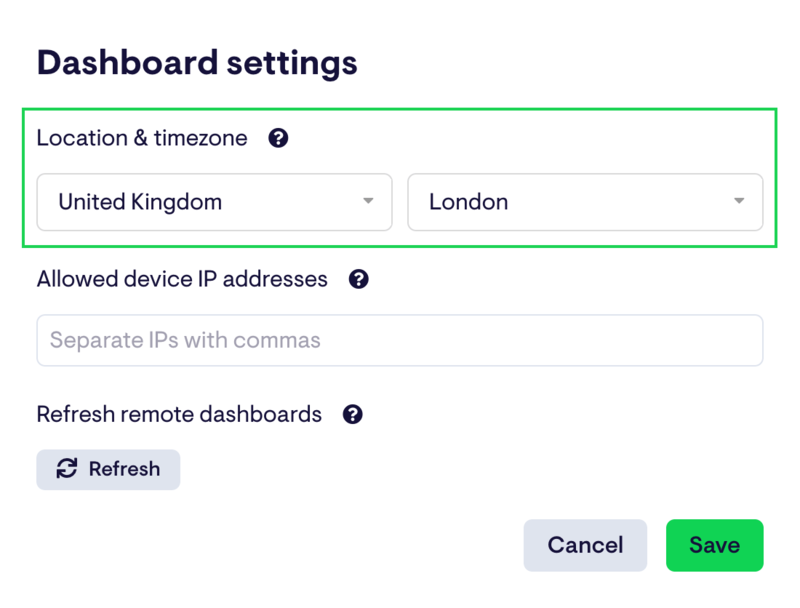 This article is part of a series introducing you to all the ways that Geckoboard can help you broadcast live business metrics, KPIs and goals to your team in an easy-to-understand way.